The teaser trailer for How to Train Your Dragon 2 introduced us to an older hiccup (Jay Baruchel) and his trusty dragon companion Toothless five years after the events of the first film. Now a teaser poster for the DreamWorks Animation sequel gives them the spotlight as the film's summer 2014 release gets closer. We're not sure if this means a new trailer is coming, but with Disney's Frozen just around the corner, it would be a good time to push the film to families. In this sequel, Kit Harrington ("Game of Thrones") joins the cast along with Cate Blanchett and Djimon Hounsou, joining the returning cast. View below. The thrilling second chapter of the epic How To Train Your Dragon trilogy brings back the world Hiccup (Jay Baruchel) and Toothless five years later. While Astrid (America Ferrera), Snotlout (Jonah Hill) and the rest of the gang are challenging each other to dragon races (the island's new favorite contact sport), the now inseparable pair journey through the skies, charting unmapped territories and exploring new worlds. When one of their adventures leads to the discovery of a secret ice cave that is home to hundreds of new wild dragons and the mysterious Dragon Rider, the two friends find themselves at the center of a battle to protect the peace. 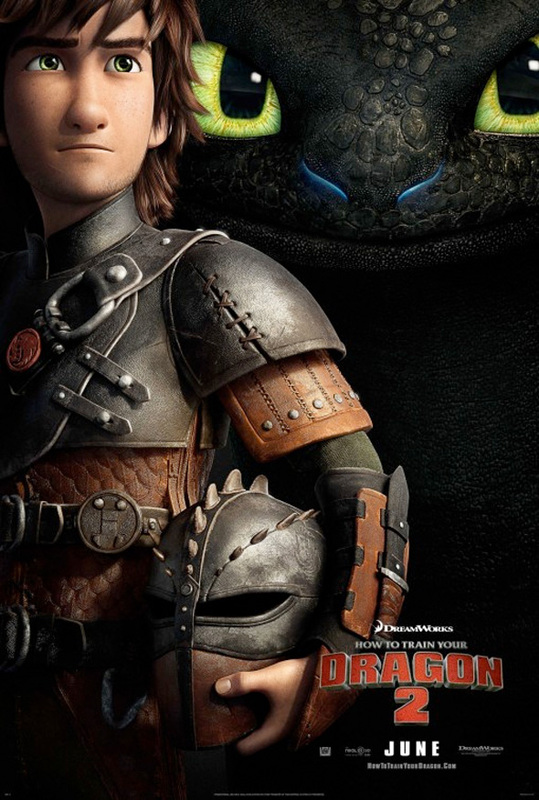 Fox will release DWA's How to Train Your Dragon 2 in theaters June 20th, 2014 next summer.